Brazilian Anderson has been struck down with a secret long-term illness according to sources close to United Rant, provoking new questions over the midfielder’s future at Old Trafford. Suffering another disappointing campaign, Anderson has been earmarked for a summer exit from Manchester United according to newspaper speculation in recent weeks, with Sir Alex Ferguson planning to freshen up his squad next season. However, new concerns over the player’s health, together with patchy fitness and form over the campaign, could solidify Ferguson’s tentative decision to let the former Porto star leave this summer. The 71-year-old Scot has repeatedly denied that Anderson will exit Old Trafford. 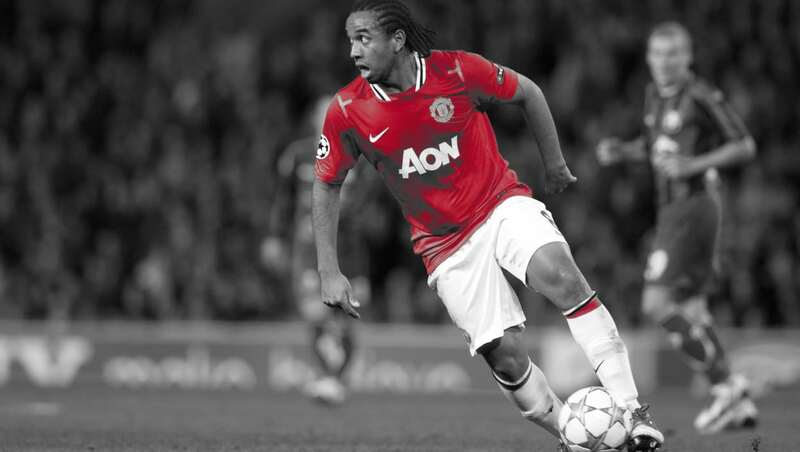 Anderson joined United from Porto for €30 million in 2007, but has rarely fulfilled an exciting potential over six seasons with the club. Dogged by injuries and concerns over his weight, the Brazilian has made just 121 starts for the club in a period of immense frustration for player, club and supporters. However, sources close to Rant revealed this morning that the midfielder is suffering from an acute bout of adenovirus gastroenteritis that has been treated for up to six months at the Bridgewater Hospital, Manchester. Anderson’s illness has been kept secret by Old Trafford’s management, although Ferguson’s anguish over the player’s long-term future is reportedly genuine. But the story, which was accidentally leaked on ManUtd.com this morning, is set to force United’s hand this summer, with Anderson reportedly seeking a move back to Brazil ahead of the 2014 FIFA World Cup. Adenovirus gastroenteritis, which is typically spread by the faecal-oral route, is a icosahedral virus composed of a nucleocapsid and a double-stranded linear DNA genome. Infected patients display a wide range of responses, from no symptoms at all to the severe infection. Aside from gastroenteritis, presentations of adenovirus include respiratory disease, conjunctivitis, cystitis, and rash. Patients with compromised immune systems, such as those significantly overweight, are especially susceptible to severe complications of adenovirus infection. Although the source of Anderson’s infection is unknown, sources close to Rant revealed that club officials are targeting the Wythenshawe branch of KFC for scrutiny. The fast-food restaurant is reportedly a favourite late-night destination for the 24-year-old midfielder. However, branch management denied that poor sanitary conditions at the restaurant are to blame for Anderson’s problems this season. “It’s no secret that Anderson is a frequent visitor to our store, but it is not KFC’s fault that he is ill,” store manager Olaf Priol told Rant. No United spokesperson was readily available to comment on this story or reports that Anderson’s recent weight loss can be traced back to a severe case of the shits. I can tell you from experience its bad…. You had me till KFC… Legend. Very well done, Ed. Thanks for the laugh. Why KFC though…wouldnt Burger King be more appropriate? You had me until I say teh web site URL – pretty good one though.